The Carbon Capture Innovation Challenge (IC3) is demonstrating the impact of international collaboration with the allocation of $103 million funding to support projects aligned with IC3’s priorities. The US Department of Energy (US DOE) recently announced up to $30 million in federal funding for cost-shared research and development on Novel and Enabling Carbon Capture Transformational Technologies. In addition, the Accelerating Carbon Capture and Storage Technologies (ACT-CCS) consortium is offering up to $35 million for research and innovation projects that can lead to safe and cost-effective CCS technology. Furthermore, the European Commission has an indicative budget of $38 million for industrial CCS projects involving partners from Mission Innovation countries. 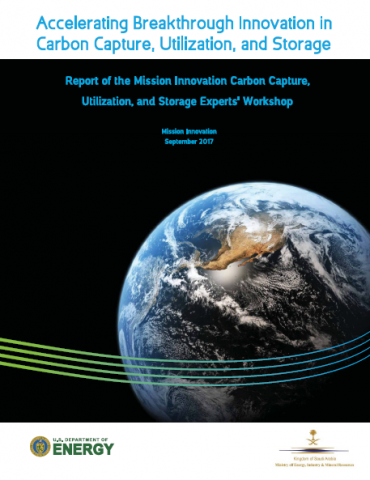 The priorities of both the US DOE and ACT funding sources align with the scientific challenges and knowledge gaps identified in the Carbon Capture Innovation Challenge (IC3) report that was launched at the third Mission Innovation Ministerial meeting in May 2018. 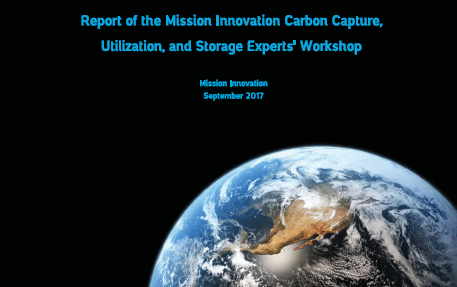 The report, entitled “Accelerating Breakthrough Innovation in Carbon Capture, Utilization, and Storage (CCUS)”, includes a list of Priority Research Directions (PRDs) that have the potential to make significant impact in improving CCUS technology performance. The recommended PRDs include opportunities for understanding and improving the design of new materials, novel chemical and physical processes, and characterisation and computational tools required for the next generation of CCUS technologies. These PRDs are not meant to be prescriptive and all-inclusive. Rather, they are designed to inspire the CCUS research community, governments, and the private sector, helping to guide national R&D investments and programmes which elucidate the foundational scientific phenomena that underpin CCUS. Both the US DOE and the ACT Calls for Proposals request alignment of proposals with the PRDs identified in the report. The US DOE funding programme closed at the end of October 2018. The selected projects will support the development of solvent, sorbent, and membrane technologies to address scientific challenges and knowledge gaps associated with reducing the cost of carbon capture, supporting the US DOE’s goal to develop technologies that can significantly reduce the cost of CO2 capture from coal fired power plants. The funders of the ACT Call for Proposals are France, Germany, Greece, the Netherlands, Norway, Romania, Spain, Switzerland, Turkey, the US and the UK. France and the US joined this second ACT Call for Proposals when the invitation to join the group was extended to the Mission Innovation member countries (six Mission Innovation countries are now part of ACT). The Call, which closed in September 2018, requested proposals from consortia consisting of at least three eligible applicants from at least three ACT participating countries. Interest in the Call has been considerable, with 47 proposals submitted, involving representatives of all ACT countries. The stage one proposals are now being evaluated. Selected consortia will be invited to submit their full proposals by 1st March 2019. The current Horizon 2020 Call for Proposals from the European Commission for “Low carbon industrial production using CCUS” encourages collaboration with Mission Innovation member countries. €33 million is available for proposals submitted by the 27th August 2019 deadline. The Commission will fund demonstration projects integrating CO2 capture in industrial installations. IC3 is led by Mexico, Saudi Arabia and the UK. The co-leads are pleased to report on the alignment of the funding priorities but recognise there is more to do. Brian Allison, the UK IC3 co-lead stated that “IC3 is starting to provide the focus on CCUS R&D that lays the foundation to accelerate the technology”. There is broad international consensus that CCUS has a vital role to play in meeting global climate change ambitions. However, the International Energy Agency’s 2018 “Tracking Clean Energy Progress” highlights the limited growth in both CCUS on power and industry and has categorised CCUS as ‘off track’ and noted that a significant increase in global CCUS deployment is required. The IC members are currently taking forward the recommendations of the “Accelerating Breakthrough Innovation in Carbon Capture, Utilization, and Storage” report.